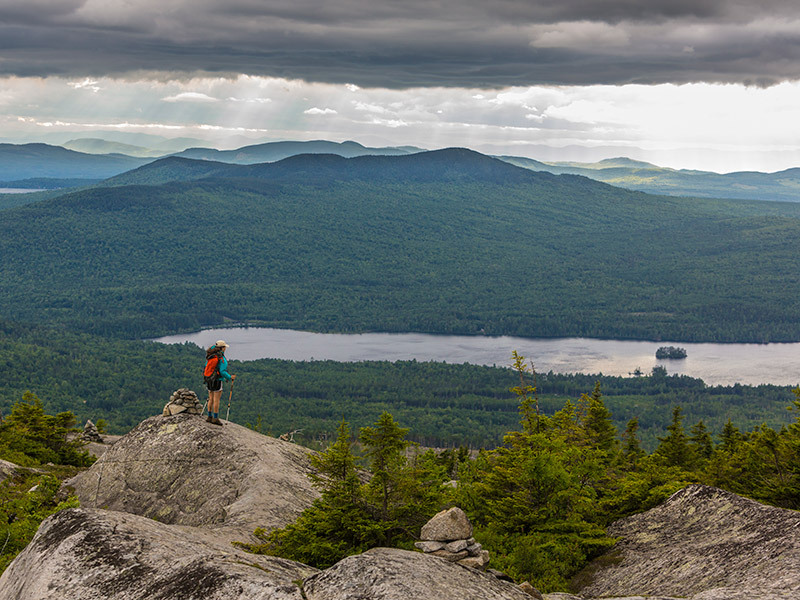 The Trust for Public Land is working to protect Maine's pristine 1,200-acre Bald Mountain Pond and its surrounding lands—a nearly 2,600-acre conservation project decades in the making. Success will ensure protection of a century-old forest and eight miles of unspoiled waterfront from incompatible development. The area supports a variety of regionally and nationally significant wildlife such as the landlocked Arctic char and Canada lynx, a federally threatened species under the Endangered Species Act. Conservation of this property will also secure an important buffer for five miles of the nearby Appalachian National Scenic Trail at Moxie Bald Peak and new public access to Bald Mountain Pond via 19 miles of private logging roads for hikers, paddlers, and anglers. Together, these mountain and water features make the property an iconic destination for backcountry adventures that combine paddling and hiking on the A.T.